Right-to-Work Vote in the House! Email and Phone of Senators and Representatives in D.C. In Part I of this series, several claims made by Elizabeth Warren were debunked but there were so many that Part II was written to continue shedding light on Warren’s pattern of lying. It’s true that people sometimes make mistakes or false claims but they usually admit to the facts or admit they made a mistake. Professor Warren does neither. She continually regurgitates the same lies over and over to further her political agenda. Since Warren is hell bent on raising taxes; demanding accountability in government and private business; and pointing out the ‘bad guys’, it’s interesting that she’s had a few problems in these areas herself. As with Part I, the question remains, how can voters believe anything Elizabeth Warren claims? CLAIM: Professor Warren was part of a group from Harvard that did a study claiming that half of all bankruptcies were due to medical reasons. Note: Warren is for government run healthcare i.e., the single payer system. The idea that half of all bankruptcies are caused by medical debt has become part of the common folklore. But where did the idea come from? What is the evidence for it? The claim, first made in a 2005 Health Affairsarticle, is at variance with four decades of economic research, including a finding that even large medical bills have no impact on family living standards. The correct statement is that correcting the upward bias of the official [consumer price index] adds more than 1 percent per year to official estimates of the growth in median and mean wages. Cumulatively since 1977, my best estimate of the upward bias in the CPI cumulates to 38 percent between 1977 and 2006. Thus if someone came along and said the male median wage adjusted for CPI inflation has been stagnant since 1977, I would translate this into a true 38 percent increase. 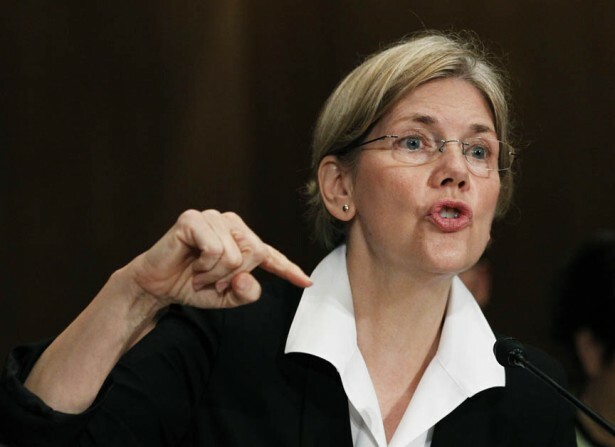 CLAIM: Elizabeth Warren not only helped to create the Consumer Financial Protection Bureau under Obama but has continually claimed she is about protecting consumers. She’s actually made quite a name for herself in this area. Democratic Massachusetts Senate candidate Elizabeth Warren publicly supports a consumer protection platform, but records show she received more than $100,000 to help suppress personal injury lawsuits against an insurance company accused of misleading the public about the dangers of asbestos. And by effectively rewriting a long-final confirmation order (at precisely the time when its enforcement was necessary), the court of appeals gave enterprising plaintiffs’ lawyers an “end run” around a final federal court judgment. This entry was posted on Tuesday, May 29th, 2012 at 11:45 am	and tagged with Elizabeth Warren, Massachusetts, Scott Brown, Senate Race and posted in Democrats, Election 2012, Elections. You can follow any responses to this entry through the RSS 2.0 feed.